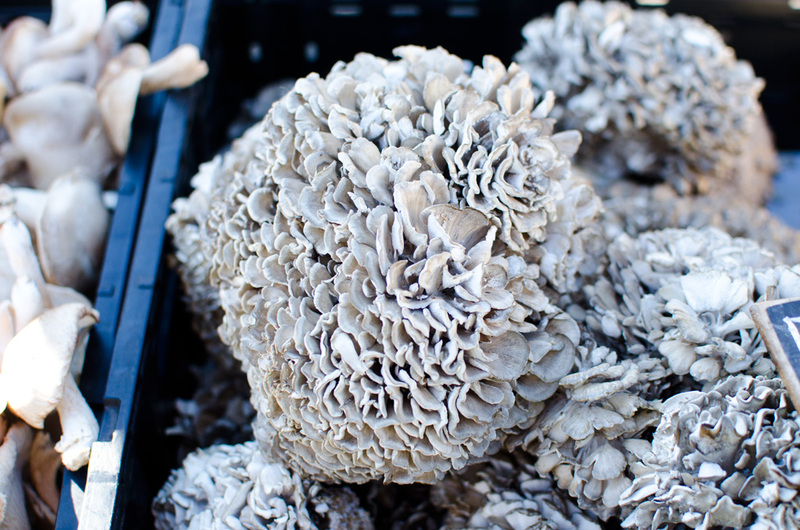 Maitake mushrooms are supposedly extremely good for you. Some people say they help promote brain growth, others say they help fight cancer. In any case, they are delicious, with an almost meaty flavor. I even like using the stems when I cook; they have a springy, crunchy texture when cooked. Madura Farms at the Grand Army Plaza Greenmarket always has great looking mushrooms, and even though they’re a bit on the expensive side they are some of the best mushrooms I’ve ever eaten.